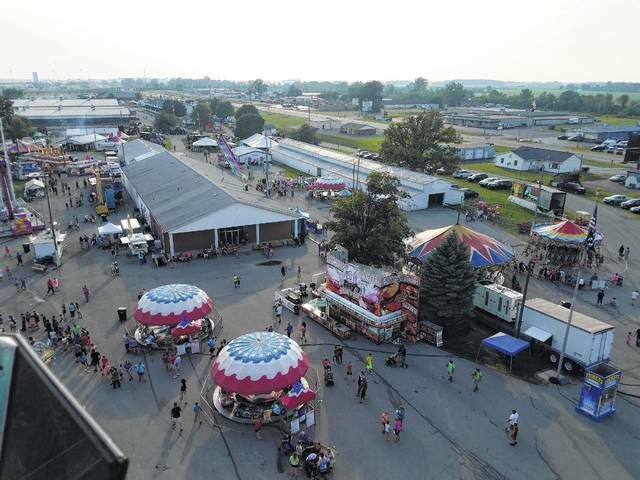 The Fayette County Fair was packed Thursday evening with patrons enjoying the many rides, games and food that were offered. Taken from the Ferris Wheel, the Mahan Building, food booths and so many other attractions could be seen, as well as an impressive view of Washington Court House. https://www.recordherald.com/wp-content/uploads/sites/27/2017/07/web1_20170720_191551-3-.jpgThe Fayette County Fair was packed Thursday evening with patrons enjoying the many rides, games and food that were offered. Taken from the Ferris Wheel, the Mahan Building, food booths and so many other attractions could be seen, as well as an impressive view of Washington Court House.